Architectural luminaires by Hacel Lighting, showcasing modern design flair were the desired products for the new head office of City Health Care Partnership. The range of lighting throughout the project brought together style and innovation alongside outstanding performance to reflect the engaging and inspiring environment created. With high performance ambient luminaries positioned across the area, the office is split by stylish system lighting that forms a clean definition between open plan workspaces and fully glazed directors suites. With the project covering 17,000 square feet, the stunning result demonstrates how modern commercial spaces can be designed to allow for an invigorating and forward thinking workplace. Featuring a single matt louvre, the iMod Solo is further enhanced by two precision engineered clean polycarbonate prismatic refractors offering impressive photometric performance and light output ratio. 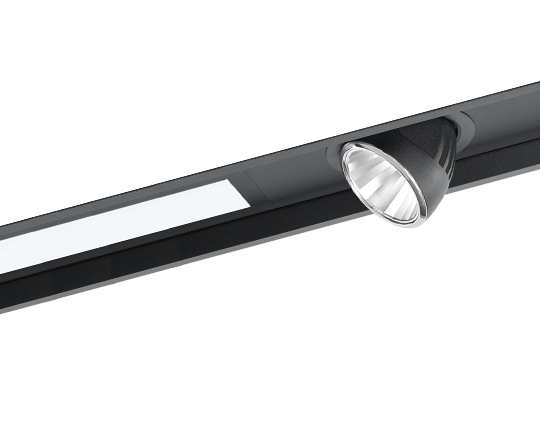 The iMod Solo is LG7 compliant in accordance with SLL Code for Lighting 2012. 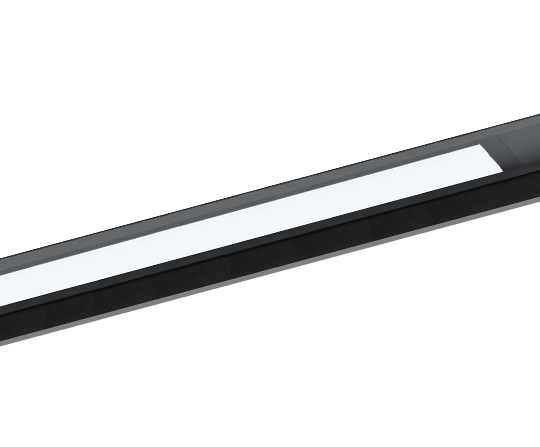 Skylink is a stylish continuous system, which fluently integrates superior quality, energy efficient ambient and accent lighting into a slim and sophisticated recessed Bezel or Bezel Free system. The intuitive design of Skylink ensures rapid construction of the framework and simple installation and wiring of luminaires and modules. Downlighter modules are precision engineered to stylishly integrate the distinctive Aleda Adjustable LED Downlighter. 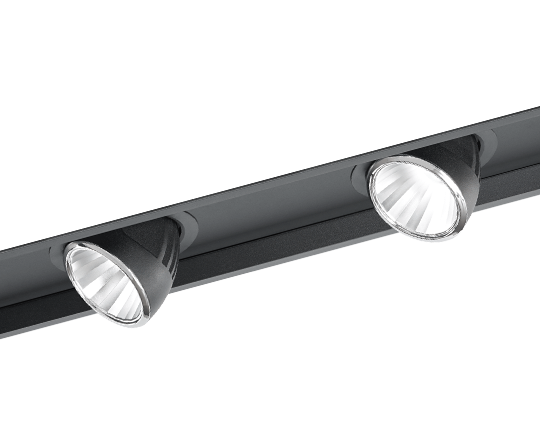 Combining creativity with lighting class single point LED modules, the Aleda, with a smooth and precise pan and tilt adjustment, adds an innovative dimension to accent lighting. A clean LED fascia offering commercial quality, performance and energy efficiency. 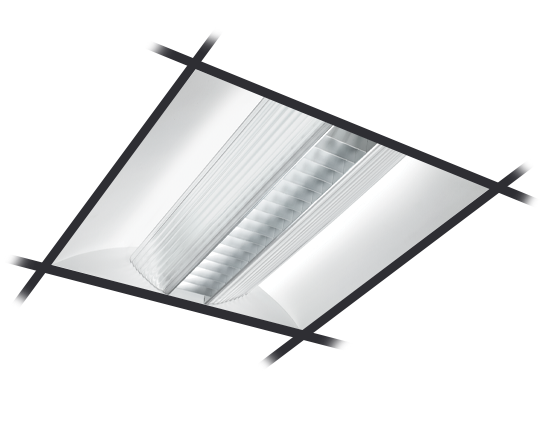 Featuring a flush Opal polycarbonate diffuser with wipe clean surface to complete sleek appearance.